Amy is Social Media Manager at the London School of Economics. She previously managed several blogs at LSE, including LSE Review of Books and the Impact Blog. She has published popular guides for researchers on using social media, including 'Using Twitter in university research, teaching and impact activities: A guide for academics and researchers' with Patrick Dunleavy, downloaded by 100,000 readers. With her coauthors, Amy has won a Times Higher Education Award for Knowledge Exchange. 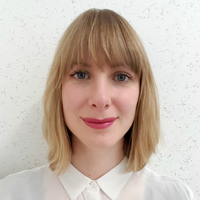 Amy is a graduate of the London School of Economics and the University of Sussex, and is interested in academic communication, digital engagement, and podcasting. She tweets @amybmollett.